One of the great things about being in the wine industry is that I get to use it as an excuse to drink to my hearts content and excuse extravagant flight purchases all in the name of ‘research’. To be honest, I barely need an excuse to get back to that wonderful concrete jungle that my dreams really are made of. The US market for wine is very different to the UK, they sure do produce a hell of a lot but in my experience, it’s the cocktails, spirits and beers that tend to dominate. On a recent girly getaway to New York City I made damn sure that I would sample as much booze as possible. For research, remember. Wine is expensive in New York City, fact. In many places a glass of vino is the same price as a cocktail, but the wine lists were much more concise, there wasn’t lots of bog standard house wines like so many places in the UK. On our first night we went to a hip Italian joint in Williamsburg called Divera Drive where you could get a Pizza for $16 (just over a tenner) but the cheapest bottle of wine was $50 (£33)! Huh? It was bloody great but it sure does hike up the bill after a few bottles, plus tax! 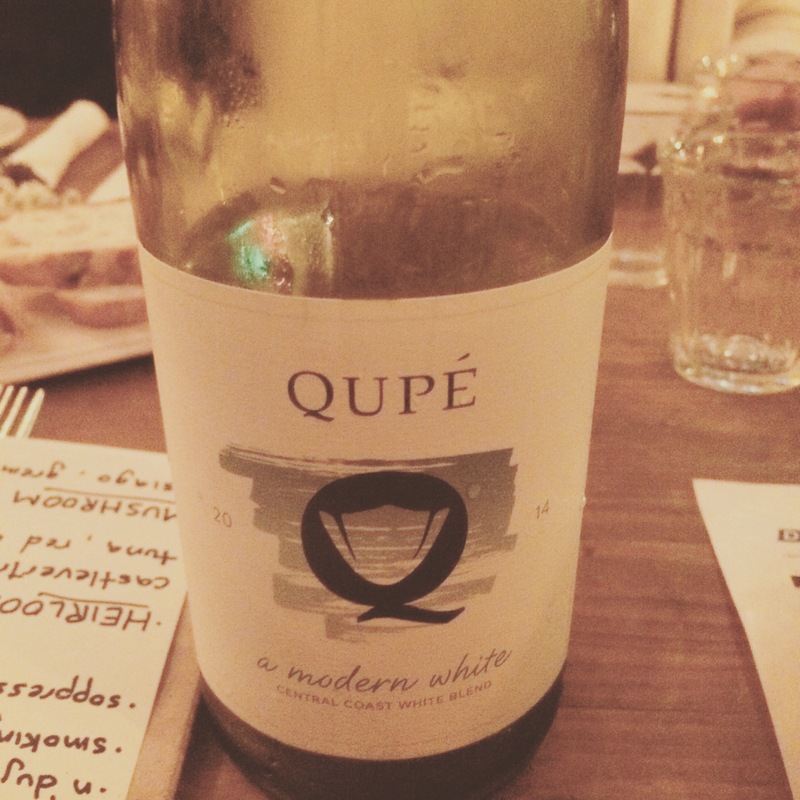 I’ve had the Syrah from Qupe and even with my work discount it set me back £18. Maybe we were getting a good deal after all? One night we were wandering around looking for a place to eat and I saw scribbled on a chalk board “Tuesday Special! ALL bottles of wine – $25”. We didn’t need much more convincing. German Pinot Noir for 16 quid? We’d hit the jackpot. I particularly loved that almost every place I visited, the only rosé on the list was from Provence, aromatic, sophisticated and oh so perfect in the balmy New York September heat. It seems the yanks are going for quality over quantity? By removing the typical house plonk they’re encouraging their patrons to spend more but in return they’re getting very classy wines, a win/win situation in my opinion. I work in wine for exactly that, the wine, not the money. With that in mind I don’t have the luxury of being able to afford anything but economy flights. 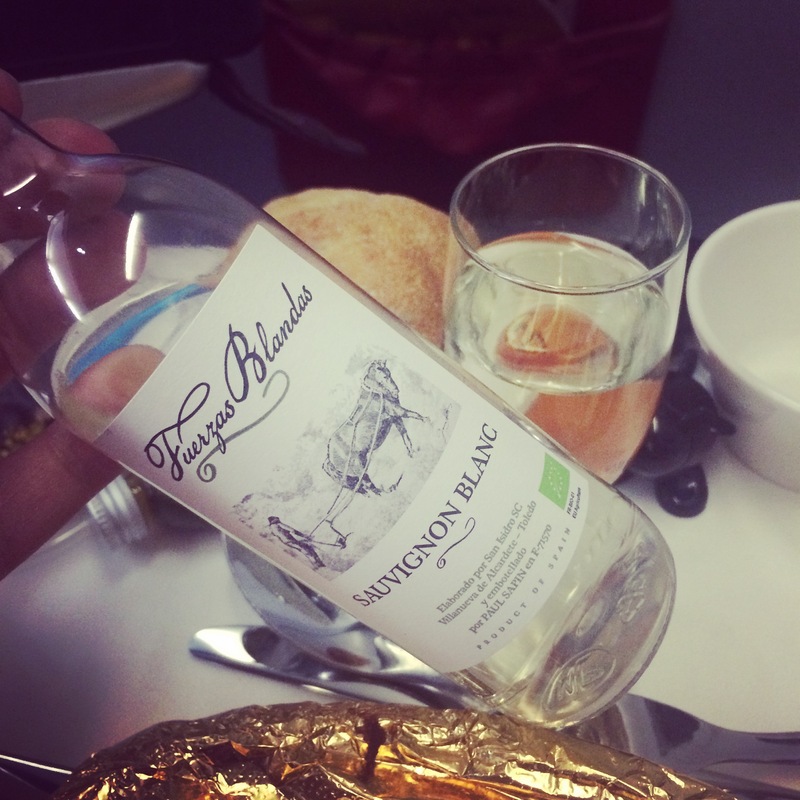 I’ve always happily travelled this way but seeing as I’m forever trying out the wines in bars, restaurants and supermarkets, why not see what an airline has to offer? The very lovely people at Virgin wanted to treat me and show just why they’re worthy of so many awards year after year and I of course, was happy to oblige. First up, I was granted access to their incredibly fancy Upper Class Clubhouse in Newark airport. I had barely sat down before I was offered a glass of Champagne, a British favourite, Lanson NV no less. I had a profound feeling that I was going to enjoy this. A lot. As you can imagine, saying no to that second glass of Champagne didn’t happen. My chicken Milanese with lemon and caper dressing was on it’s way so I choose the Californian Chardonnay to match. I know that I keep banging on about the virtues of this sometimes misrepresented grape but it really is the David Beckham of the wine world; smooth, muscular and utterly divine. This was no exception. Waxy lemon, crisp apples and a lovely creamy texture gave this wine plenty of complexity yet still keeping it youthful and light. 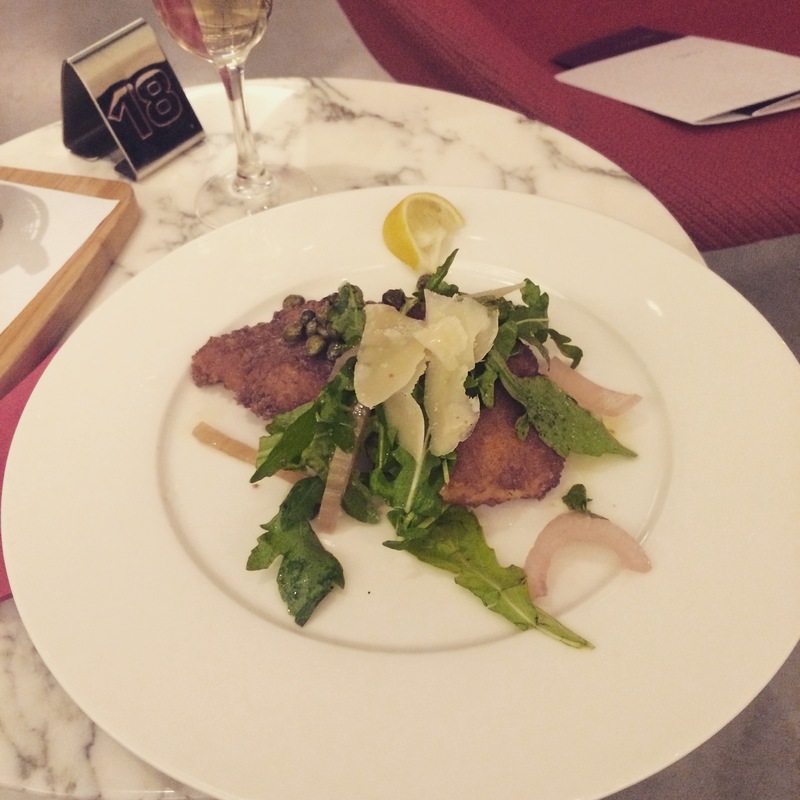 Everything served in the Virgin Clubhouse is complimentary, so there has to be a balance between giving your customers something of a high quality whilst keeping a sensible eye on your budget. They have nailed this. The other white option was my beloved’s nemesis, a New Zealand Sauvignon Blanc from Brancott Estate. I’ll be honest, this isn’t my favourite style of wine, purely from drinking too much as a youngster but there is a large proportion of people that love the stuff. Virgin Atlantic aren’t stupid. Two classic choices and everyone is happy. There were three ladies sat nearby who polished off two bottles and they definitely seemed very happy. I chatted to the Regional Manager of the US Clubhouses who gave me a very interesting insight into their wine selections. The list is quite succinct to keep things simple and clear for customers. They love to focus on pairing the wine with the food and every three months both menus are changed to keep things interesting (and to keep those frequent flyers guessing!) All staff members are given full training about the wines so they can be on hand to advise their customers. High quality is key and is reflected in every aspect of the Clubhouse. With the reds too, they’ve not tried to outsmart anyone with unusual grape varieties but played it cool with a Pinot Noir from Sonoma and a broody Cabernet from Washington State. With time running out (where’d it go!?) I had a small taste of both and was mightily impressed, both were lusciously fruit driven and catered for both the light and heavier red wine lovers out there. I left feeling wonderfully satisfied and floated to my Premium Economy seat in a lovely wine bubble. And more bubbles came in the form of a glass (yes, real glass) of Prosecco as soon as I boarded. From the menu, (très sophistiqué) I chose the Sauvignon from Spain to go with my Thai chicken curry. Although it’s not normally my bag, firstly, it was miles better than any wine I’d had on board a plane before, and secondly, it was a light, refreshing and perfectly zesty. 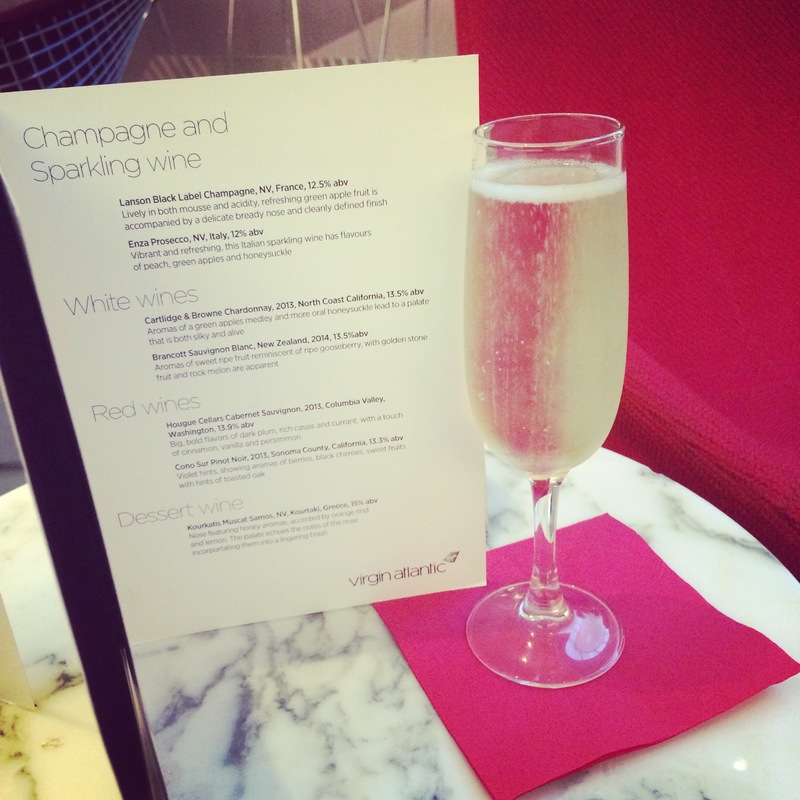 Can’t wait to try out Virgin Premier’s transatlantic offerings with you next Spring …………..! !